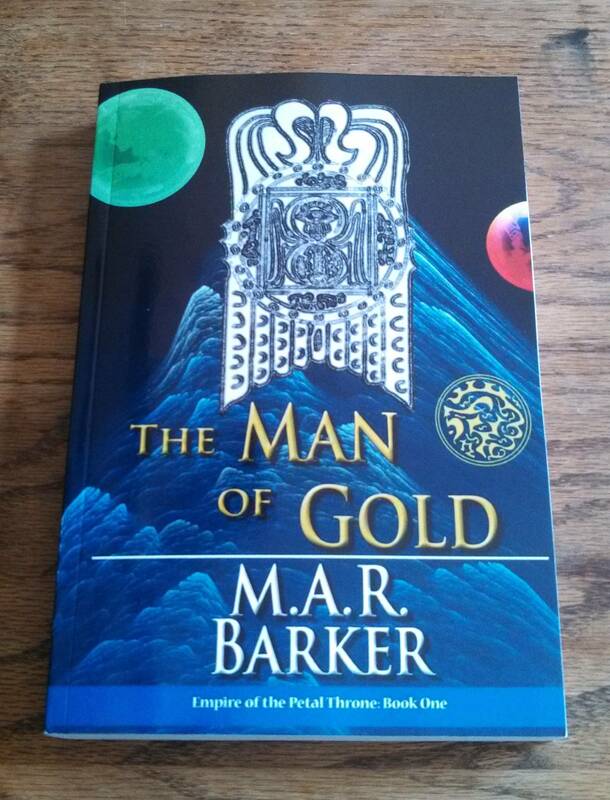 The proof copy of The Man of Gold arrived in the mail this past weekend, and it looks very good! Of course, we’re combing through it, making sure that we catch as many errors as possible – some always sneak through the editorial and publication process. Many Tekumel fans will be pleased to know that the diacritical marks have been restored in this edition, so the transliterated Tsolyani can be read properly. It will be released through CreateSpace, which does a lot of print-on-demand books and also offers bookstore distribution services. The price for the 6″ by 9″ trade paperback will be $18.95 – we should be releasing it within the next two weeks. We’re still waiting on the proof copies of The Tekumel Sourcebook. This may allow for enough time to see if we can get the maps from Swords & Glory made available about the same time. Keep your fingers crossed!